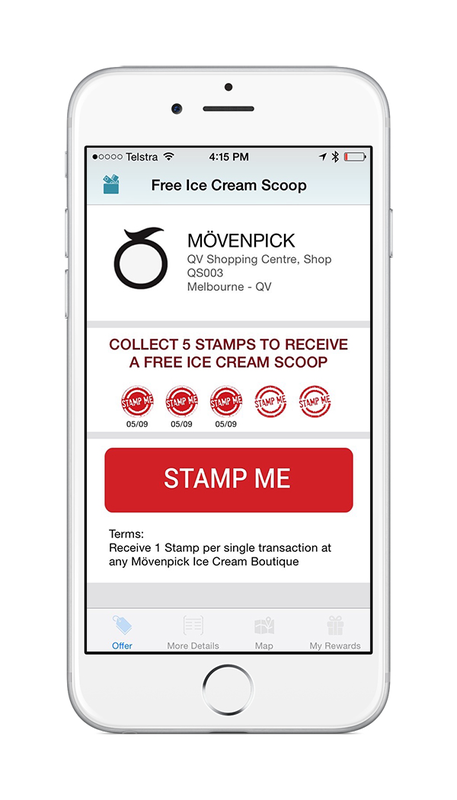 Stamp Me puts your 'Buy 5 Get 1 Free' style stamp cards & points based cards on your phone. It is very easy to use and you will never forget or lose your loyalty cards again! Simply download and register to join the program. 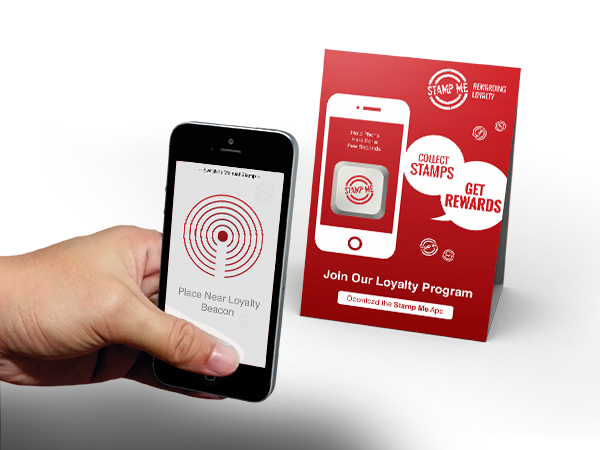 Receive a Stamp or Point for every qualifying transaction by placing your phone near the loyalty beacon. 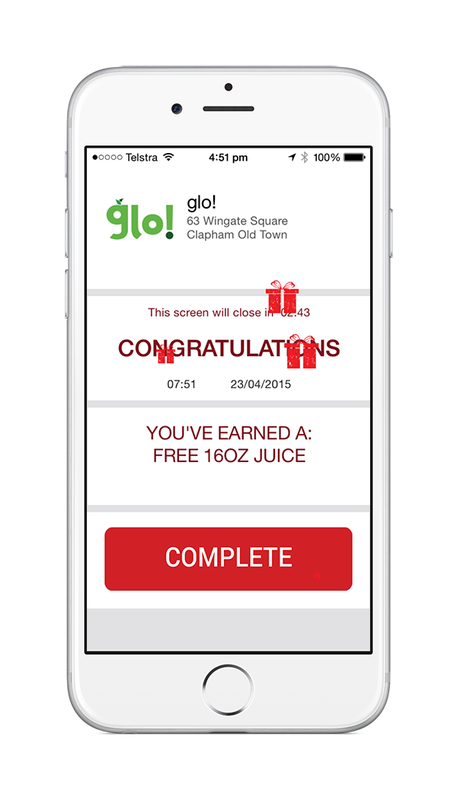 Once the Reward is reached, show the onscreen voucher to the cashier to receive your reward. The business is provided with a cloud based platform to view transactions and communicate with its customers. 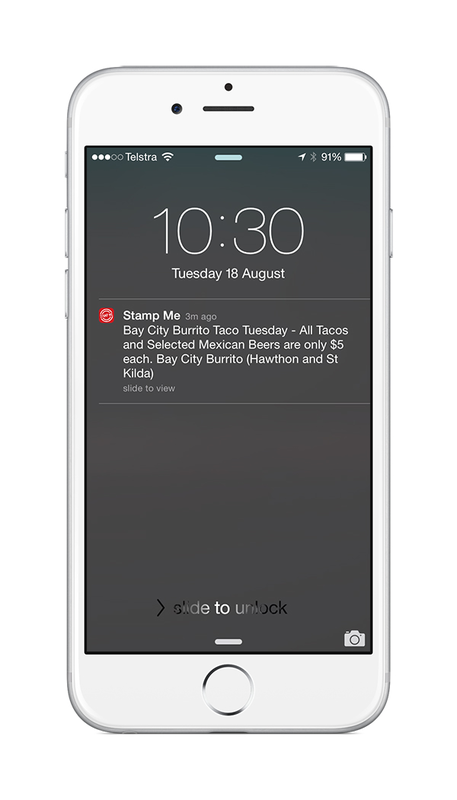 Stamp Me came about from our frustration with managing loyalty reward stamp cards. The Stamp card is a very common marketing tool used by business for customer retention. However, most users of them find them difficult to manage. Customers have either lost or forgotten the card by the next visit, or simply don't want to carry them for this very reason. This diminishes their value proposition to both customer and business. Stamp Me solves this problem by putting the businesses Stamp card on the customers phone. It is easy to use, engaging and relevant to today's customer with the mobile phone now ubiquitous. It also solves the problem for the customer of managing multiple loyalty cards. The Stamp Me Loyalty Platform is not only a more effective way to manage customer loyalty, but also provides the business with customer insight with respect to who, when, frequency, where etc than traditional paper based cards. This allows the business to better understand their customers and enables them to better communicate relevant information, whether it be promotions, product information, surveys etc in order to build their business. A customer on a loyalty program that is communicated with will spend significantly more with a business than the customers that are not. Businesses on the Stamp Me Loyalty Platform are provided with a cloud based portal where they can easily access all their customers information, transactional data (stamps & redemptions) and can directly communicate with these customers, whether it be through push notifications, SMS, email or social media. All this communication can also be triggered around specific criteria such as the customers purchasing history, location, proximity to the store and time of day to make the communication very relevant to the customer. The Stamp Me Loyalty platform is also very easy for the business to implement, is inexpensive, secure and operates independently of the businesses point of sale system. ie. there is no software or hardware integration required with the point of sale system which makes it easier to deploy on scale. The only item required by the business is a small loyalty beacon that it placed near the point of sale to validate the transaction. Customer simply place their phone near the beacon to receive a Stamp. (ie. like pay wave or tap and go with your credit card). Stamp Me has been developed by a small team of 5 employees but is in the process of increasing its team as the product continues to scale. To date Stamp Me has been deployed in over 2,000 businesses in over 26 countries. It is only the beginning and the product will continue to scale. Stamp Me is a leading mobile loyalty platform and marketing tool for businesses to retain, communicate and engage with its customers. All data captured and end customer profiles can be used by the business to increase the lifetime value of its customers. The main benefits of the platform is that it provides a very simple and relevant process for customers to join a businesses loyalty program, The platform provides all the associated analytics and communication tools to manage and grow the business. - The Stamp Me program facilitates a strong tie-in relationship between the business and its customers. 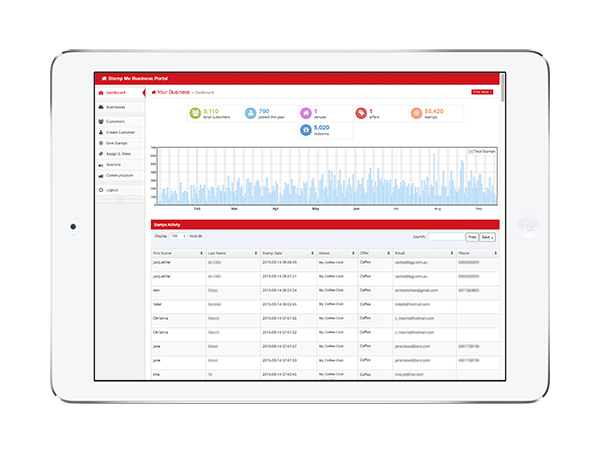 - The platform captures data for extensive end user customer insights. - It provides the business with an increased level of security and cross-check on redemptions and stamps. - It is very quick and easy for businesses to implement. 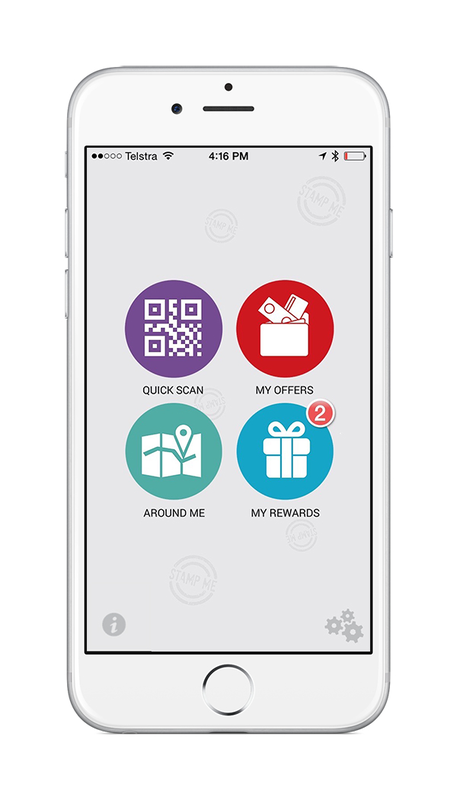 Stamp Me is a simple, but innovative App that allows businesses to reward their customers for their loyalty. Upon making a qualifying purchase, visit or action customers can earn loyalty Stamps or Points. Stamps are awarded through Stamp Mate (our digital stamping device) or by placing the phone near the Stamp Me Loyalty Beacon. The process is very secure and very easy for customers to use. In the past, if a business has wanted to operate a loyalty platform they have had two options. Paper cards or plastic cards linked to a POS system. Paper cards are relatively inexpensive, but do not provide any customer insight or ability to communicate with the customer. Plastic cards linked to POS systems can provide customer insight, but are usually prohibitively expensive for small businesses to implement. Both tradition loyalty programs fall down in that they still require the customer to carry a card. Stamp Me provides the best of both old world systems. Like paper cards, it is relatively easy and inexpensive to implement, whilst also capturing the same data that much more expensive plastic card programs gathers. It also goes one step further in allowing the business to directly engage with the customer through inApp notifications, SMS, Email and Social Media, which are much more relevant marketing channels to today's millennial user. The success of Stamp Me comes down to its simplicity. We have deliberately tried to reduce the features and number of steps to make it as easy as possible to use. 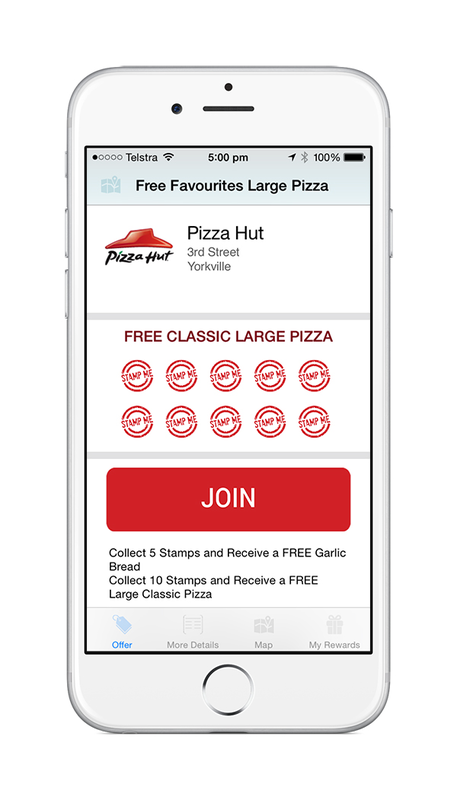 Over 95% of customers who download Stamp Me go through and register to join the program. The high conversion rate is driven by the fact that we make it easy and the customer has a desire to join the program. 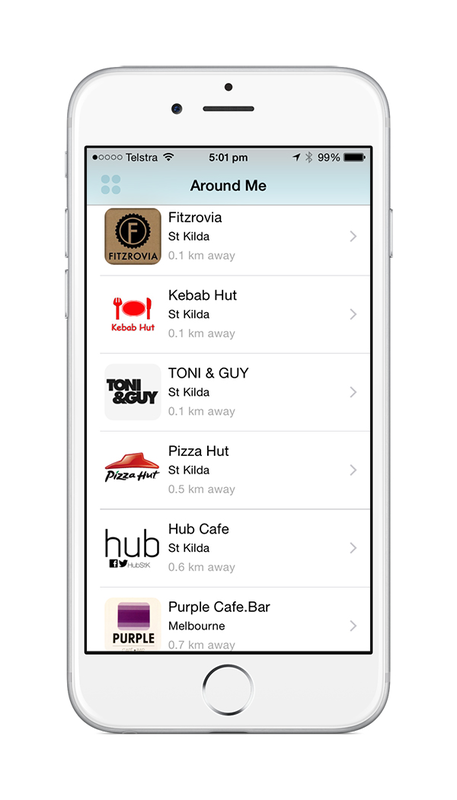 Once joined, Loyalty App's benefit from ongoing repeat usage. The customer needs to keep coming back to it to collect their Stamps and Redeem their reward. 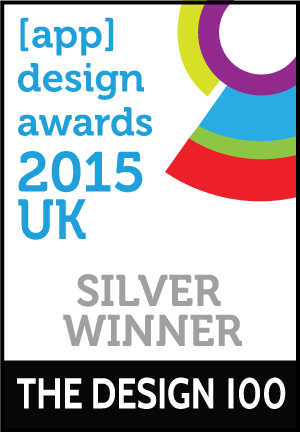 In a recent survey over 92% rated Stamp Me Very Good or Excellent in Ease of Use. It also received similar feedback when it asked its users about the overall concept at 95% and its look and feel at 93%. The Stamp Me Loyalty platform is also very easy for businesses to implement and use. Businesses simply need to provide an offer, their logo and some basic locational details to get going. Once an account is set up, all they need to do is install a beacon in-store near the point of sale for validating customers transactions. As part of the on-boarding process we also recommend that business display some marketing collateral to make their customers aware off the program. On the Stamp Me Loyalty Platform also provides businesses with a portal to access its customers information and communication. Stamp Me is marketed to its users (customers) in-store by businesses on the platform. Marketing collateral is generated for inside the business inviting customers to join the businesses loyalty program on Stamp Me. Businesses will usually provide their customers with an immediate, upfront incentive to join which helps the on-boarding. The businesses will usually also promote the program through their digital media assets, such as their website and facebook to encourage customers to join up. Businesses come to Stamp Me through a variety of channels with referral and web search the main channels. Referral can come from two areas. 1. businesses using the Stamp Me Loyalty platform referring us to to other businesses, and 2. Customer referring Stamp Me to other businesses. Web search. Stamp Me also benefits from top natural search results on google for Loyalty App, Stamp Card App and associated words in most countries. This is major driver of enquiries from around the world. All information is collected with the consent of the user. The only mandatory information we require is an email address to identify the user. We do not ask for any financial information on the user. The customers information is not shared with other businesses or third parties. Users can be contacted by the businesses when they join a program but can choose to opt out of all communication. All data is all securely stored on a AWS server using the latest security protocols and security certificates. We also have a privacy officer whose responsibility is to deal with any requests. Our privacy policies are outline on our website and app.